Two bags for the price of one! Genuine Leather Super-Deluxe 23" Trolley/Backpack. Multiple storage options with front and side saddlebags and roomy storage. When in use as a backpack, the telescopic handle is hidden behind a zippered pocket. Measures 16" x 23" x 11". All pricing based on "R" pricing. 64oz Growler feaures single wall construction, black exterior, satin finish interior. Black stainless steel lid. Holds 64 ounces (8 cups). 13.5oz (400 ml) Porcelain Tea Steeping Mug is crafted from all-white porcelain with a white porcelain lid. Holds 13.5 ounces. Stainless steel tea strainer/infuser included. Durable Bamboo Ballpoint Pen and Pencil Set features a high-quality twist ballpoint pen and 0.9mm pencil. 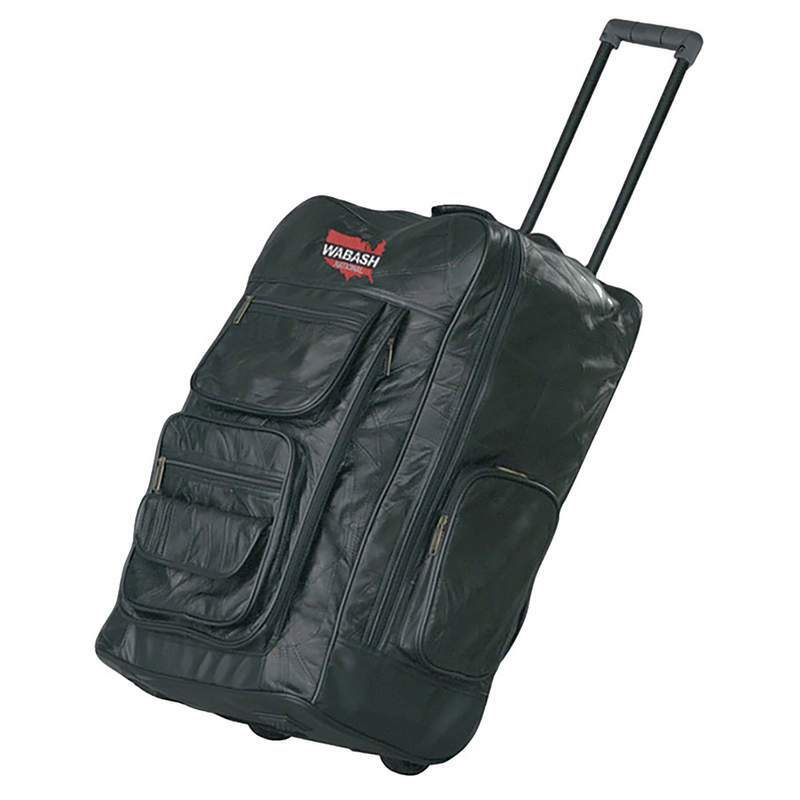 Heavy-Duty Range Bag. Padded design includes multiple interior and exterior pockets, and features a dual zippered top closure with locking capability. What can we send you?